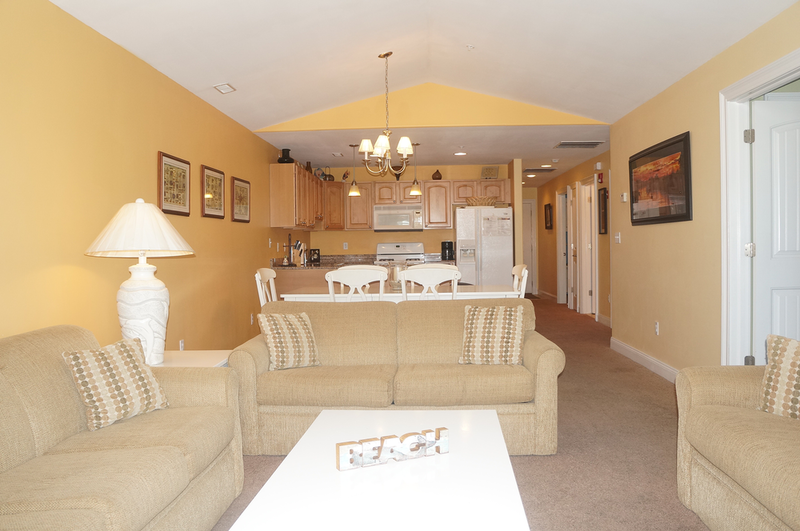 Park your car and settle into your unit as you take advantage of what may be Wildwood Crest’s best location. 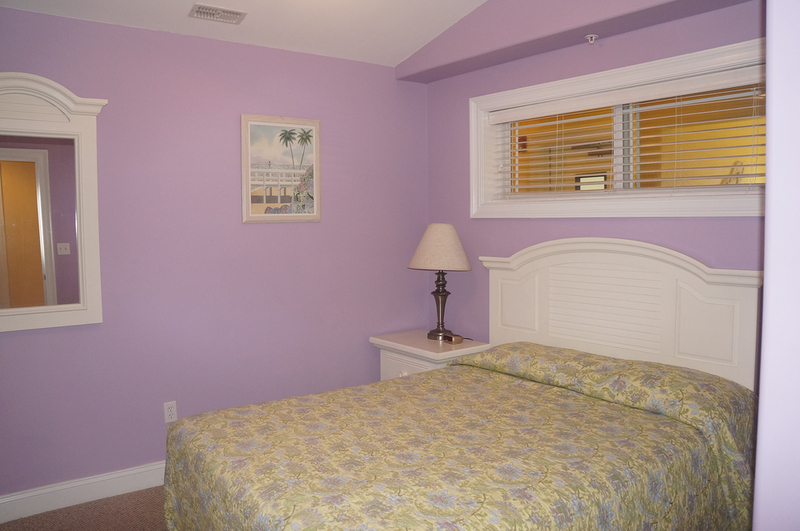 You are just one short block to the beach and one block to the world famous Wildwood boardwalk. Catch the boardwalk tram car for easy access to resort activities, amusements, bike rentals, restaurants, and tourist attractions. At The Monarch you’re never far from the things that make vacations great. Enjoy a refreshing swim in one of two heated swimming pools or sit back and relax in one of the two Jacuzzis while your children or grandchildren play in one of the two kiddie pools.Enjoy relaxing or reading a book under the shaded gazebos located throughout the lavishly landscaped common areas spanning the entire property. Loaded with special amenities, the Monarch offers you maximum use of the property in a relaxing, carefree environment. The Jasmine Condominium is a spacious four room condominium including three bedrooms with a king size bed, and two rooms each with one double size bed, and two full bathrooms. The living room has a full sleep sofa, a selection of beautiful hardwood furniture and a dining table. A glass door to the private balcony provides a view of the town. M302 pictures below. The Corriandre Condominium is a spacious five room condominium including four bedrooms; the master bedroom features a king size bed (private bath), a second bedroom features a queen size bed (private bath), a third bedroom features a full size bed and the fourth bedroom features a bunk-bed with full bottom size bed and top single size bed. A beautiful kitchen with granite counter tops, newly tiled back splashes and stainless steal appliances. The living room has a full size sleep sofa, a selection of beautiful hardwood furniture and a dining room table with 6 chairs. A glass door to a large private wrap around balcony provides a view of the ocean and the Wildwoods. M112 also provides you with a second private rear balcony which overlooks the main pool. * Recently remodeled with new flooring, painting and tile back splashes. 1) No smoking in condos, lobbies, stairwells, pools, balconies, courtyard/BBQ, fitness room. Under the New Jersey Smoke-Free Air Act, any person found smoking will be subject to a minimum fine of $250.00. 2) Guests who wish to smoke must do so along Buttercup and Morning Glory Avenues. No unit shall exceed its designated occupancy level. For 3 BDR units, max occupancy is 8 persons, and 4 BDR units, max is 10 persons. Use of common area facilities is restricted to registered owners, and their guests /renters. Use of common facilities will be enforced using Monarch Facility Use Pass tags. A replacement fee for each lost tag ($25.00 per tag) will be assessed for each lost tag. The Monarch Condominium Association has implemented a Facility Use Pass Policy to apply to all owners, guests and registered renters when using Monarch common area amenities including but not limited to, pools and spas, BBQ grills, courtyard picnic tables, benches, fitness center and lobbies. It is expected that ALL persons over the age of two when using Monarch common area amenities have an official Monarch Facility Use Pass tag on their person, attached to either clothing or bathing suit, or they will be kindly asked to leave the area. This policy has been instituted for safety and liability reasons, and to control issues of overcrowding and unauthorized trespassing. Clean grills and turn off burners after use. Be considerate of others wishing to use the grills. Barbecuing and other forms of outdoor cooking are prohibited on balconies. NO running, skateboarding or playing ball is permitted in the lobbies, elevators, hallways, stairwells, pool decks, courtyard, garages, or inside units. Do not place towels or other laundry on front or rear balconies, or in any common areas. Beach chairs, boogie boards, carts and other beach equipment must be stored in vehicle, or on the units private balcony. No beach equipment may be stored on common balcony / outside units, lobby, pool area or garage. Doing so will result in their removal at owner’s expense. No bikes or strollers are permitted to be left outside units on common balcony, in lobby, pool area or garage. Doing so will result in their removal at owner’s expense. Bikes may be stored in designated bike racks (in large bldg. rack is located in driveway closest to beach; in small bldg. bike personal bike racks are available on outside west garage wall). Monarch Condominiums accepts no responsibility for articles lost, missing or damaged. Store at your own risk of loss or damage. Sorry, no pets allowed. Due to health, allergies, safety and comfort of all our guests we are unable to accommodate pets. If a guest is found to have a pet, an additional fee of $150 per day 'penalty' will be automatically added and charged to the guests credit card for each day of the stay. THE MONARCH CONDOMINIUMS - BETWEEN BUTTERCUP & MORNING GLORY RD.